In Tanzania, the growing demand for education due to massive enrolment in universities calls for adoption of Distance Learning (DL) and e-learning. Other factors for adoption include limited space and pace of learning, pedagogical weaknesses, and shortage of teaching staff. Mzumbe University also experiences the same as it operates satellite teaching centres of Morogoro town, Mbeya, Dar es Salaam, Tanga and Mwanza. This has made the university consider shifting from conventional delivery modes to alternative pedagogical strategies using Information and Communications Technology (ICT). The aim is to ensure effective delivery of quality education. There are opportunities and challenges. The challenges include absence of national and institutional quality assurance system framework on e-learning and distance education, and shortage of teaching staff and ICT facilities. Thus, universities need appropriate budget and resource investment to support capacity building for teaching staff and students, and formulating policies, guidelines and operational framework on distance learning and e-learning. In the recent years significant changes have been taking place in higher education institutions that have led to significant transformations of their policies and practices. Irrespective of its delivering protocols including e-learning, and home studies in Tanzania, Distance Learning (DL) has been advocated as a means of increasing access and addressing constrained infrastructures in conventional higher education centres. These changes have been necessitated by a need to meet a growing demand for higher education. This demand has placed education institutions in a situation where they are needed to respond creatively and innovatively to the needs of the students, within the constraints of limited funding and inadequate infrastructures. Flexible learning is seen as a means by which institutions can address this challenge. E-learning has been hailed as a cheaper and flexible alternative tool for raising the number of students who have access to higher education, especially marginalized groups in rural areas (Dhanarajan, 2001; Patton, 2000; Potashnik & Capper, 1998). Consequently, many universities today offer more flexible learning, including technology-based mode of delivery of e-learning, and open - distance education, the use and demand of which has been growing steadily over recent years. However, e-learning can thus improve teaching and learning practices in the higher education, if pedagogical and quality assurance issues are properly considered. Like in many other countries in sub Saharan Africa, the absence of national and institutional quality operational framework of education offered through distance and e-learning portfolio has generated skepticism and intense debates about quality of delivery and hence degree outcomes. In Tanzania, and Mzumbe University in particular, this challenge is apparent. Likewise literature indicates that the successful implementation of DL and e-learning in developing countries is hindered by many factors which include wrong perception of internal stakeholders who are the main users; inadequate technical capacity; inadequate infrastructure to support distance learning and e-learning; absence of Learning Management Systems (LMS); and organizations culture. For example, Anderson and Grönlund (2009) showed that individuals characteristics, course content, support services, context (organization and culture) as well as technology availability play an important role in e-learning utilization. In DL, course content development is an important input which influences the quality of education (Douidi, Djoudi and Khentount, 2006). All these factors provide both opportunities and challenges that are likely to enhance or compromise the quality of instituting DL and e-learning as a teaching and learning tools in higher education institutions such as Mzumbe University. 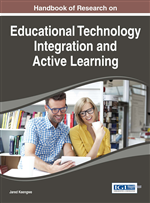 There is a widespread belief that Education Technology or e-learning, can enhance teaching and learning practices (Higgins, 2003), and create an “ideal” learning environment (Newborne, 2002, Marshall, 2002, Honey & McMillan, 2005). Therefore, its adoption and use have become an integral part of both the teaching and learning process in many universities today. Educational Technology can have the greatest impact on improving student learning and achieving measurable educational objectives (Nutball, 2000; Hawkins, Panush, & Spielvogel, 1996). In addition, it can empower teachers and learners, transforming teaching and learning processes from being highly teacher-dominated to student-centred (Higgins, 2003; Trucano, 2005). This transformation can improve the quality of learning. Moreover, Educational Technology may provide students with valuable skills that are sought by the job market.. Thus, such technology creates opportunities for learners to develop their creativity as well as cognitive skills, critical thinking skills, information reasoning skills, communication skills and other higher order thinking skills (Trucano, 2005; Means, Penuel & Padilla, (2001). 1994; Chigona & Chigona, 2010). Distance Learning: a method of studying in which lectures are broadcast or lessons are conducted by correspondence or via internet without the student needing to attend a school or college. Quality Culture: is an attitude and set of values employed by a company or organisation to improve the levels of quality in service. It can also be defined as a set or group of values that guide how improvements are made to everyday working practices and consequent outputs. Quality Assurance: the maintenance of a desired level of quality in a service or product, especially by means of attention to every stage of the process of delivery or production. Quality Control: a system of maintaining standards in manufactured products by testing a sample of the output against the specification. Or is a procedure or set of procedures intended to ensure that a manufactured product or performed service adheres to a defined set of quality criteria or meets the requirements of the client or customer. E-Learning: Learning conducted via electronic media, typically on the Internet. It entails the use of electronic media, education technology, as well as information technology communications.